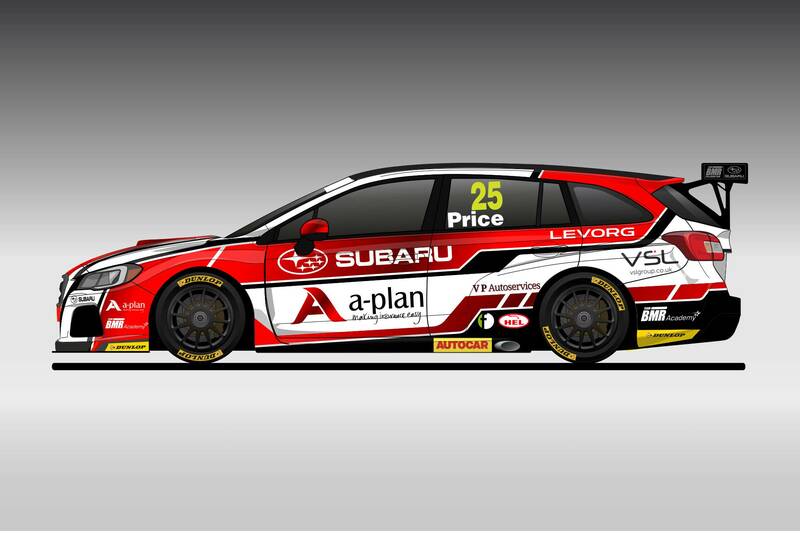 Josh Price graduated to the final available Team BMR Subaru Levorg seat on the eve of the 2017 Season Launch. 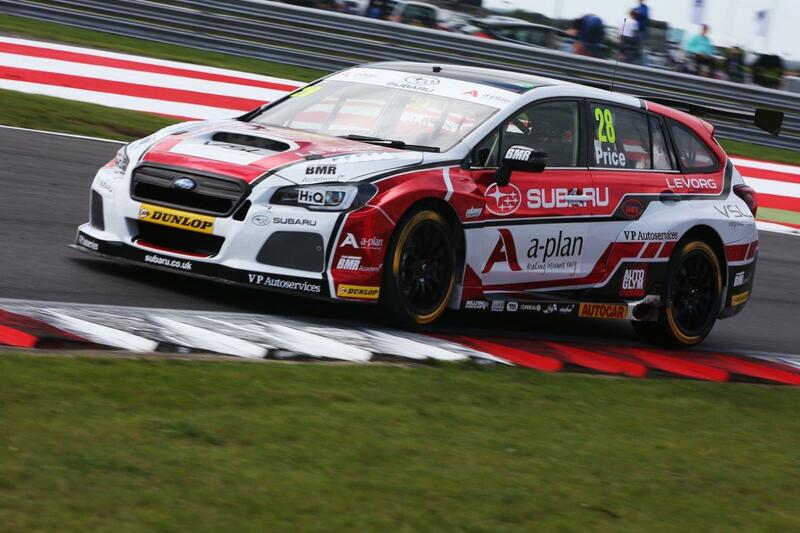 The A-Plan Insurance Livery was created in a striking red chrome, white and black livery in the main sponsors colours by us at MDM Designs. Originally Price was confirmed to be competing in the 2017 Renault Clio Cup Championship, once again with Team Pyro - with the support of A-Plan Insurance and Rivco for a championship challenge. 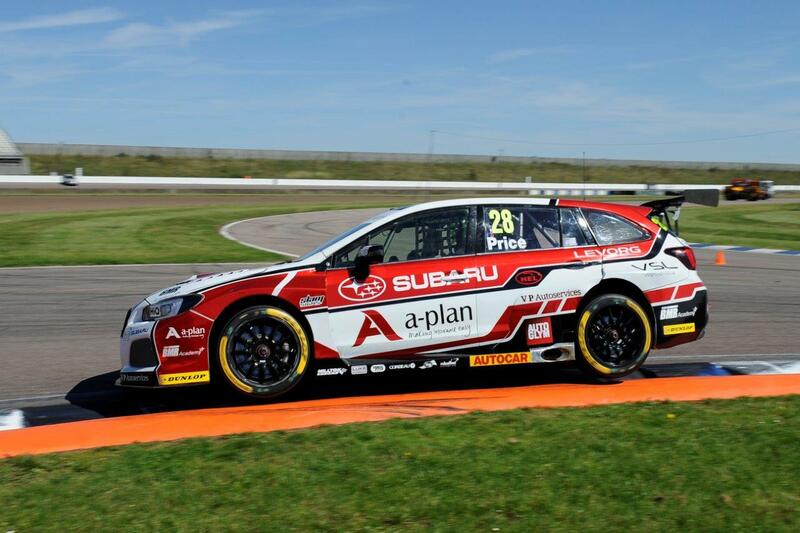 However, upon the news of BMR Team Principle Warren Scott committing to British Rallycross - a seat became available with the manufacture Subaru Levorg GT squad. Price was confirmed as the fourth entrant of Team BMR, with the intention to show how the BMR Academy can take a driver from Karting, through the Renault Clio Cup Championship and into the British Touring Car Championship all under one roof. The livery is an evolution of the original design we did for Price upon his debut season in the Clio Cup. 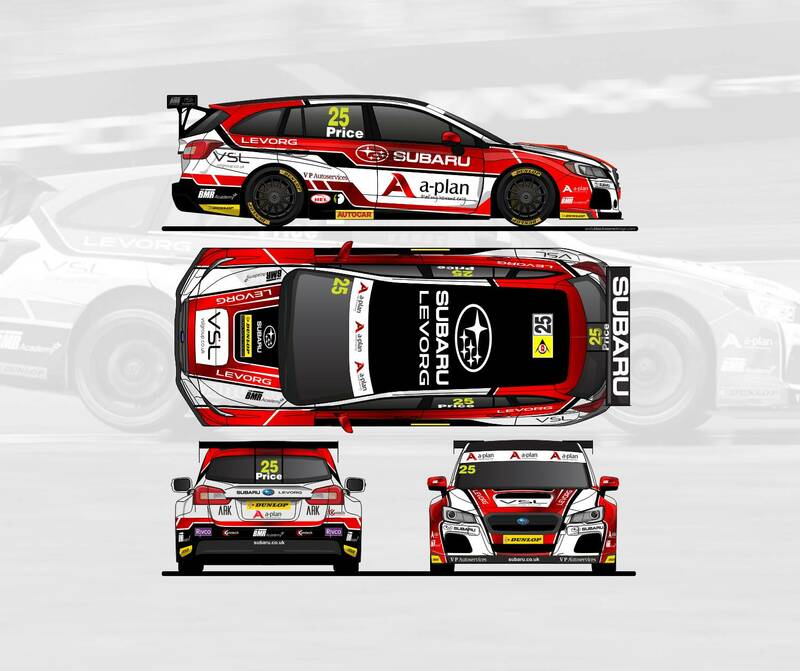 This design was modified to suit the larger shape of the Subaru Levorg, combining the Rhombiod shapes to tie in with the existing Adrian Flux Subaru Livery as well as the mandatory placement of the Subaru logo. The choice was made to go for a red chrome vinyl to really make the design differ from the rest of the grid. The chrome allowing for a unique look under light and from a distance, allowing for a much more colourful and modern look in the Team BMR fleet. 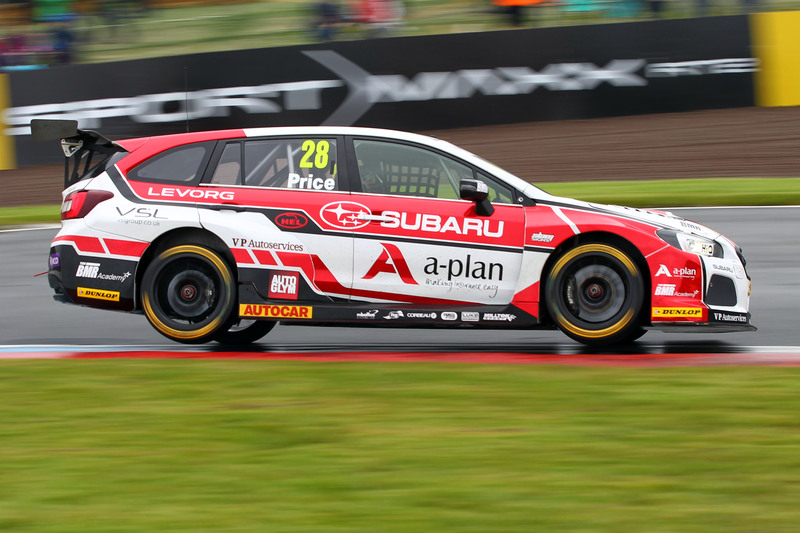 All of Price's partners for the 2017 season were added into the livery, including A-Plan, Rivco, Kamtech and ARK Rivet - allowing for camera positive locations on the livery, as the car takes to the track in the hugely competitive BTCC. 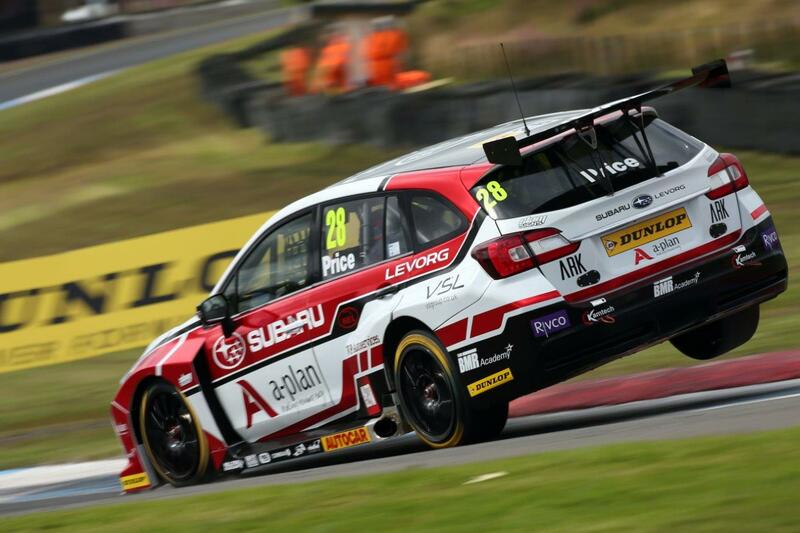 The final vector design was sent to Slam Signs, who wrapped the car in the mid-season break - before the car was launched under the revised A-Plan Academy name at Snetterton in it's striking new MDM Designed Livery.